To see updates, please refresh page. Live video at bottom. During Church services at 11 am a gunman entered the church and opened fire. As many as 27 shot, known number is at least 15. Incident has been classified as a mass causality event. Many are dead, and children were shot in the rampage. Multiple witnesses stated that several people were shot at First Baptist Church in Sutherland Springs, Texas. A hero citizen with a gun engaged the Texas church shooter and pursued him until he was killed. Sutherland Springs, Texas – Authorities announced at a press conference on Sunday that the Texas church shooter was not taken down by law enforcement, as originally reported, but that he was was instead stopped by an armed citizen. 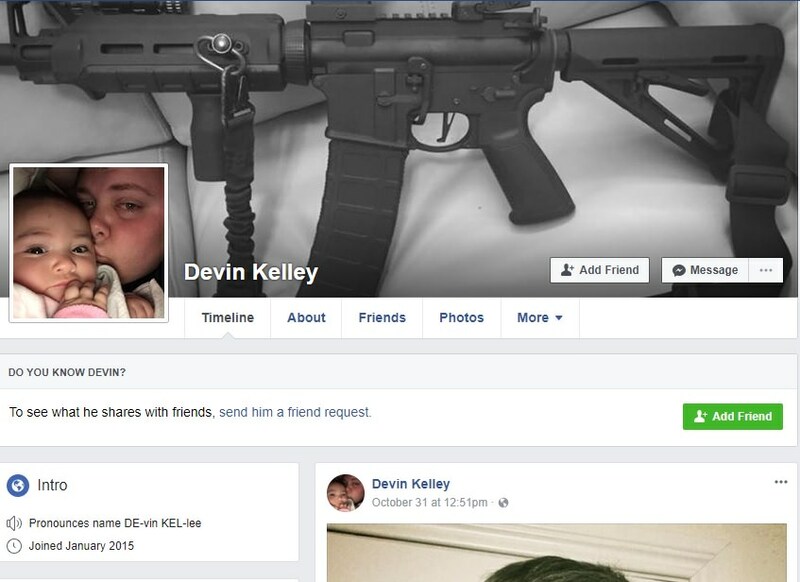 At the press conference authorities said that the shooter, now identified as Devin Patrick Kelley, parked his car across the street from First Baptist Church. The shooter then approached the church and used a rifle to open fire on the church from the outside. The shooter then went in the church and continued shooting his victims. A community member saw the shooting, grabbed his rifle, and engaged Kelley in a gunfight. During the gunfight, Kelley dropped his weapon and was forced to flee from the community hero. The armed citizen pursued Kelley until his car went off the road and he was found dead. It has not been confirmed if Kelley died from the citizen’s bullets or if he killed himself while fleeing. Kelley was dead before law enforcement arrived. The mass shooter who opened fire inside a Texas church killing at least 27 – including a two-year-old child – has been identified as a 26-year-old former Bible study teacher who was dishonorably discharged from the US Air Force. 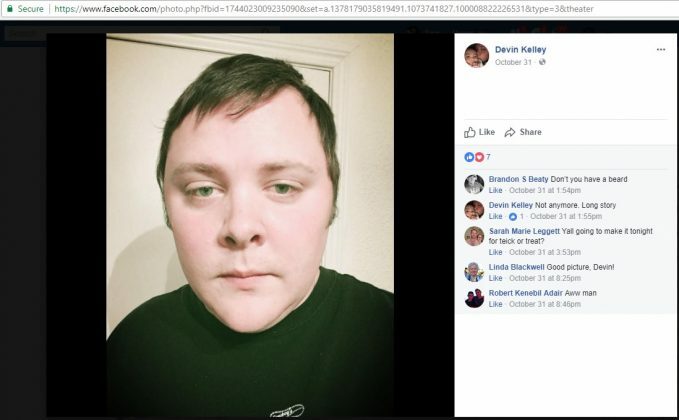 Devin Patrick Kelley walked into the First Baptist Church of Sutherland Springs, dressed in full combat gear, and began shooting, according to local law enforcement sources. Kelley, 26, of New Braunfels, a suburb of San Antonio, was killed after a brief foot chase into Guadalupe County, according Guadalupe County Sheriff’s Office spokesman Robert Murphy. But it’s still unclear if the gunman shot himself or was taken down by authorities. San Antonio police raided Kelley’s home on Sunday evening, with K9 and bomb squad units. 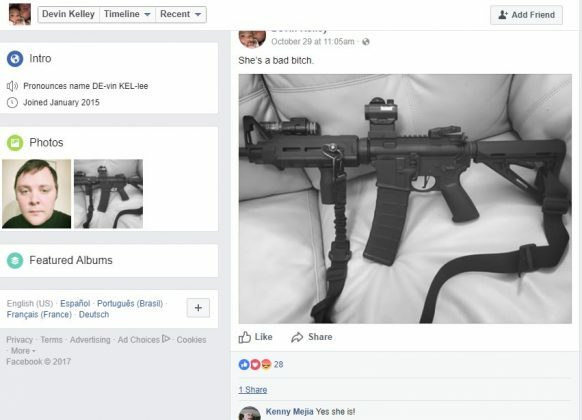 He then volunteered as a teacher for Bible studies at Kingsville First Baptist Church, according to his LinkedIn which shows him posing which a young child. Local authorities in Sutherland Springs, Texas are reporting yet another Church shooting has taken place. Multiple people are presumed dead, and several are injured. Wilson County Commissioner Albert Gamez Jr. told NBC News that a single shooter walked into the local First Baptist Church and opened fire. Neighbors in the area stated that they heard the gunman reload multiple times. At least 27 people were shot by the gunman, and there are children among those that were injured and or killed, a witness stated that in the attack a child as young as two was shot. At the First Baptist Church in Sutherland Springs, Texas there usually are roughly 50 people who attend services. According to another witness, the gunman entered in ‘full gear’ and opened fire, according to police the gunman is deceased. 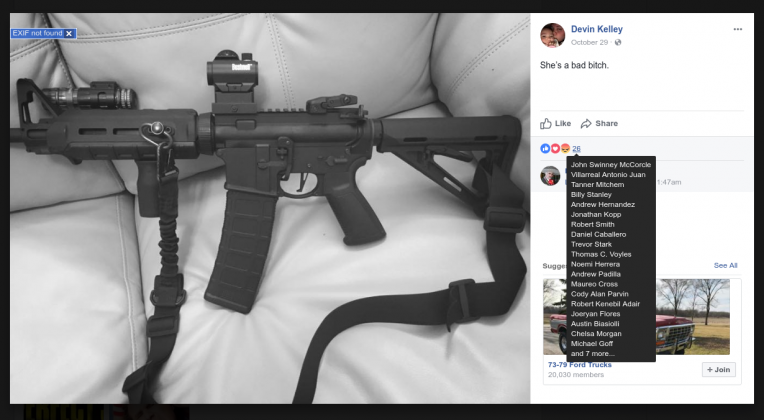 A woman wrote on Facebook that she saw the gunman flee the scene in his vehicle before crashing it not far from her daughter’s house, she then explained that the gunman ran off on foot and was pursued by police. Updates: Original Post at 15:11 EST. Dana Fletcher, a business owner in the area, told CBS News she saw a “ton” of sheriff’s vehicles and ambulances racing down the road. She said she doesn’t know what happened but said there was heavy police presence and people were being airlifted from the scene. A law enforcement official said an FBI crisis response team is on scene to offer assistance to local police, CBS News investigative producer Pat Milton reports. The FBI will be offering evidence recovery, offering to check through databases to see whether this person has any connections to international terror to see if its a terrorist event or a domestic situation, Milton reports. She says officials looking into it but they don’t know the motivation at this point. This already Stinks! As a Lie! Truth is not hard to Report!